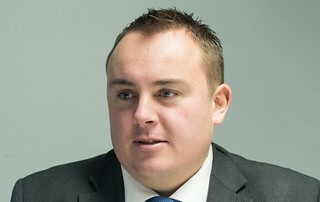 In this sponsored article, Alex Cook, Litigation Solicitor and Partner at Helix Law offers his view on the world of property development training. Sound too good to be true? That’s because it most likely is, but you’d be forgiven for thinking you could easily spot the perils of such a scheme. Property developers can be individuals, joint partners, new or established businesses. They can be on both the lending and the borrowing side of the equation. Property development includes buy to lets, renovation and re-selling, leasing and conversion of property. We’re consistently told there’s money to be made in property development, or so it would seem. So what’s the catch? The inflated price is a good place to start. There are experts out there who claim they can train you to make significant returns by showing you the property development ropes. Don’t be fooled though; some of these training companies are sophisticated in their approach, utilising cunning methods and convincing testimonials to convince you to part with your cash. As we’re often told, doing your due diligence on any business partner is wise. However, these property development companies are sophisticated and will often have a host of accomplices keen to reinforce their message including brokers, surveyors, and even lawyers. It will seem there are hordes of other paid up members, mentees and trainees, happy to reinforce how great their own decision to invest has proven to be, how they’re happy to have ‘started their journey’. As a lawyer acting for property investors across the country where deals have gone wrong, this is a sector I understand extremely well. I have to say that, in my opinion, a considerable proportion of the seminars, workshops, courses and education programmes on offer currently are sales funnels. Sign up to that free event and you’re on someone’s radar and in someone’s scope. Many of these events are cash generation systems. Dare I say it; they might be considered the new Ponzi scheme. You may be surprised to hear there is no accreditation required to teach or mentor would-be property developers; there is no governing body. The result? Almost anything can go wrong. And, in my experience, it often does. Loans aren’t repaid, joint ventures fall apart, and partnerships fail. Sometimes the rising market has helped plaster over the cracks. In a more challenging or even falling market? The potential impact and fallout can be terrifying. Increasingly, in London and across the UK, I see evidence of failed property investments. Examples include failed loans, joint ventures, partnerships, HMOs, commercial and residential conversions as well as land and building investments. None have been thoroughly researched, prepared or executed within workable, professional and legitimate parameters. As a human being first and a lawyer second, the haunted looks on the faces of the people I represent stay with me. Their stories have a resonance and there are common themes. These are people and companies who have been dealt a low blow by so-called property training companies, mentors, or both. Training and mentoring is big business. Don’t assume an unscrupulous company is a small one – crooked companies turning over millions of pounds in this industry aren’t unusual. At stake could be someone’s entire life savings, their pension, or the future of their business. The consequences can be devastating. I help clients with all aspects of property disputes and I’m pleased to say, have developed a solid reputation within the sector. I can’t help with your investments or advise you how and where to place your hard-earned cash but if I can help recover your money and assets, or a proportion of them; I will use all my experience, knowledge and skill to do so. Not all training schemes are bad and some mentors add considerable value. The Association of Residential Letting Agents, the National Landlords Association and the Residential Landlords Association all offer excellent education and learning programmes. Most landlords, investors, companies and funds I work with would advise you to think long term – it’s unlikely you’ll get rich overnight. Don’t be pressured, railroaded or forced into doing anything you’re uncomfortable with. ‘No deal’ is better than a ‘bad deal’ – genuine property developers will tell you about the pitfalls as well as the triumphs. If you have been affected by the issues raised in this article, please visit the Helix Law website to find out more about how we can try to put things right, or email Alex at ac@helix-law.com. *This has been sponsored content on behalf of Helix Law. I like this - a lot of sound advice. It will come as no surprise that I am glad to see this excellent article by Alex doing the rounds! It occurred to me that many of these training and mentorship schemes are what might be known as a "racket". The term refers to an activity that has a seemingly legitimate and innocuous front, but there is another (less scrupulous) activity behind it. Training and mentoring seems a good way to attract people into your orbit who will potentially lend you money as the "expert", meaning you can further your property ambitions and dreams at the expense of theirs. This is clear from such examples as Ben Rogers raising £2.6 million from the pin network before going bankrupt, and other gurus doing similar and not paying people back. You might think you are buying training and mentoring, but in fact you are being lined up to be sold the idea of lending a guru money or going into a JV with them. Anyone in these training networks needs to be on their guard, as not only may the guru/mentor be looking to borrow off them, but newbies within the network will be seeking private finance as they have been told that they can borrow from private lenders. Prevention is always less expensive and less heartache than cure, so heed the wise words in Alex's article so that you don't become his next client!